Name Origin: "Ride the Wind" is based on a Chinese saying that goes "Ride the wind, break the waves". Loosely translated it means something like "Forge ahead and prosper". 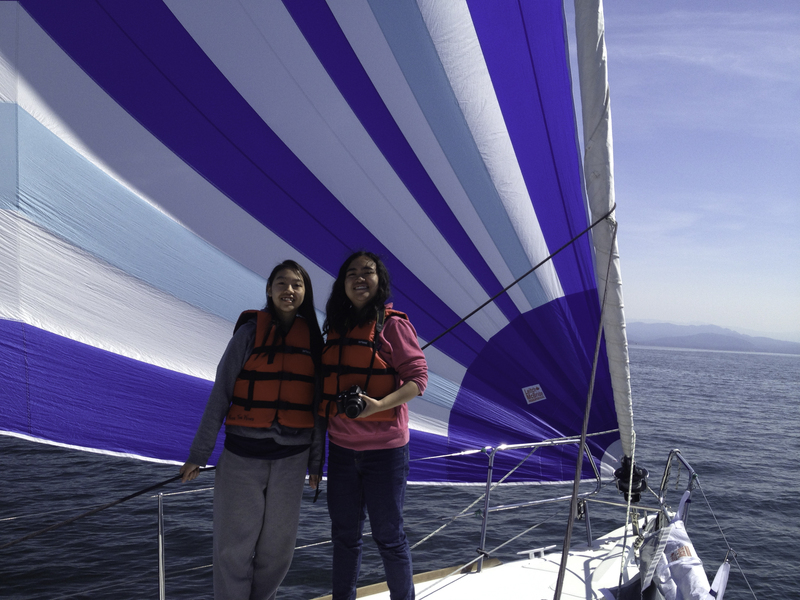 I felt it was a nice name for a sailboat and my Chinese family and friends all agreed that it was an auspicious name. 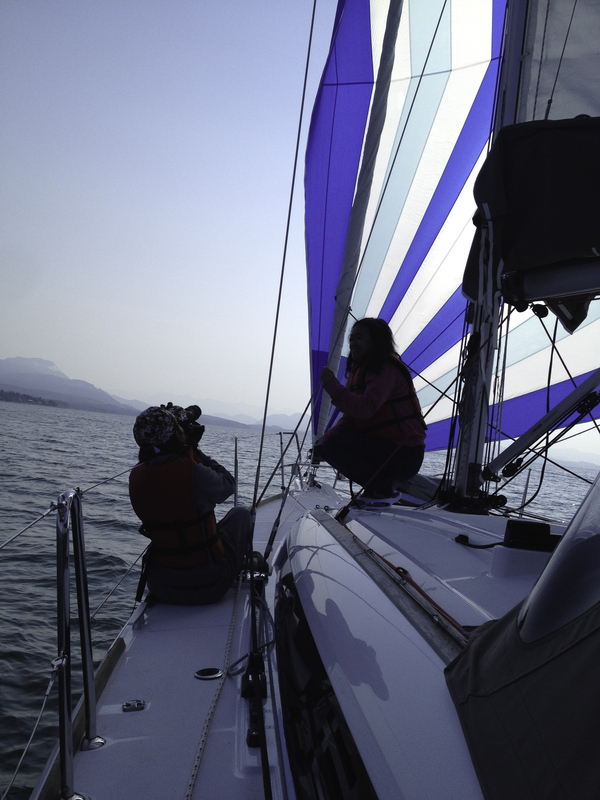 Crew Adventures: This is our third Swiftsure together. The crew is made up of Dave, Justin, Kian, Stephanie, Tony and Wade. 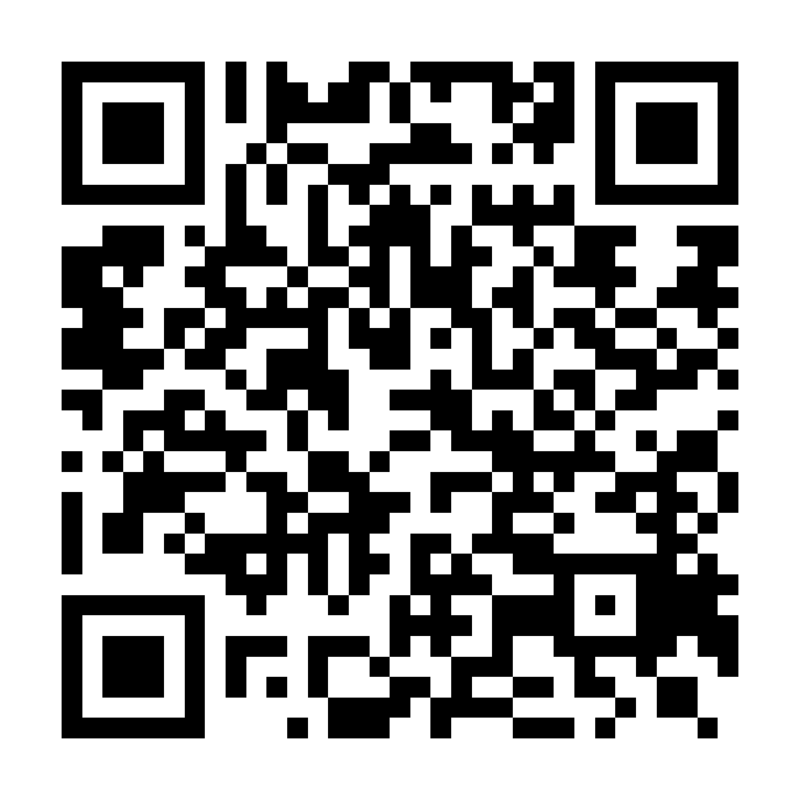 We are all keen racers based in Calgary, Alberta and have all competed in national and international sailing events. 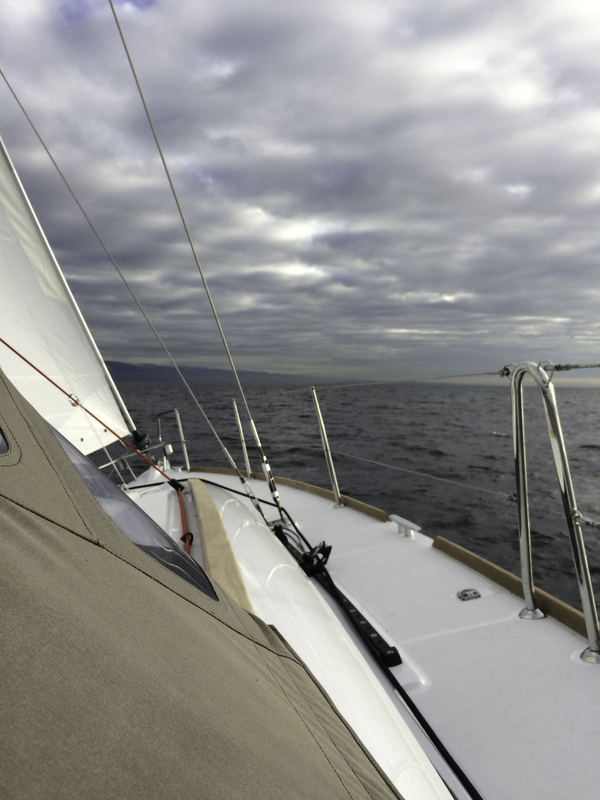 In Calgary we sail San Juan 21s, which are a small, fast keelboats with a large and highly competitive fleet of racing sailors across North America. 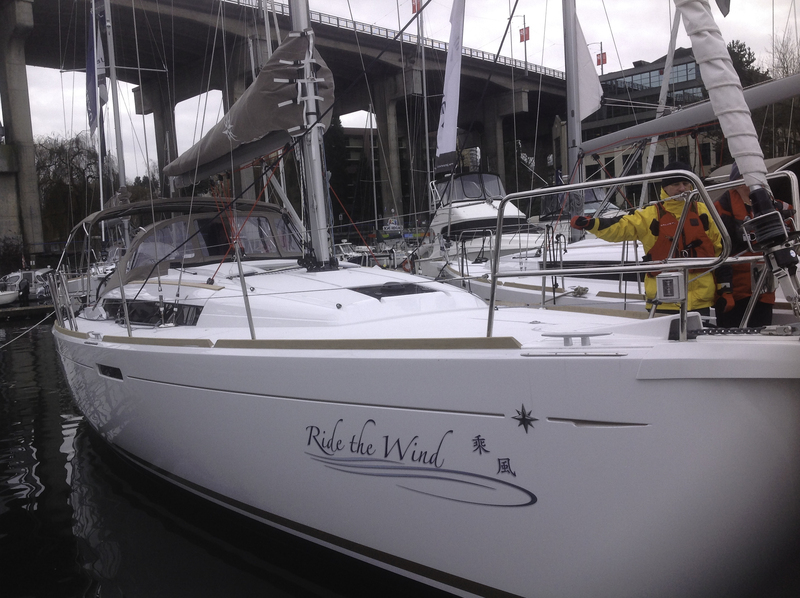 Racing History: The boat is competing in its third Swiftsure (my fourth) and also competed in the Round Saltspring Race in 2018. 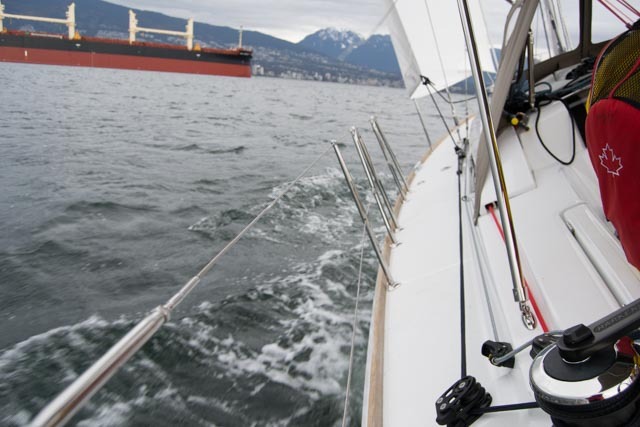 We are registered for both Round Saltspring and Swiftsure again in 2019. The crew and I enjoy both races and we look forward to them for months over the long, cold Alberta winters.